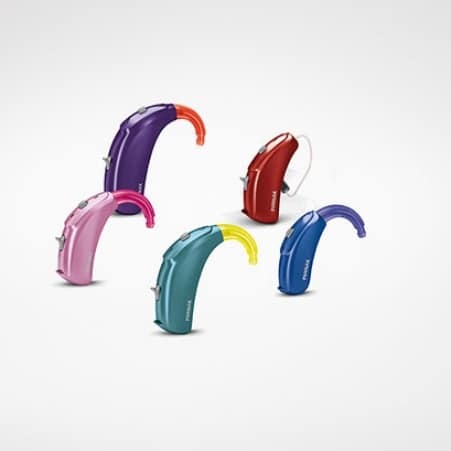 There are several styles of hearing aids for adults, but children are typically fitted with Behind The Ear (BTE) hearing aids. BTE hearing aids have a casing, which sits behind the ear and houses all the electronics, which attaches over the top of the ear by wire to a speaker, which sits in the ear canal. These hearing aids are the most powerful and effective for relaying consistent, understandable sound. Due to their reliability and power, they are considered the best option for children whose language skills development is a higher priority than cosmetic concerns.